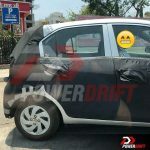 Hyundai AH2 (Hyundai Santro) will be positioned between Hyundai Eon and Grand i10. All new generation Hyundai Santro has been spotted on test once again. This upcoming hatchback is set for launch in India, probably by end of this year, in time for the festive season. Under heavy camouflage, a number of features of the new Santro have now been revealed. 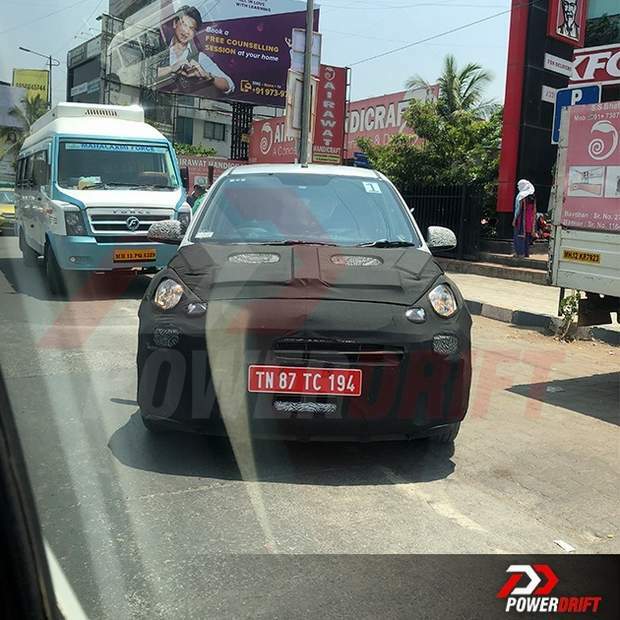 Expected to be based on Hyundai’s new Fluidic Sculpture 2.0 design language, the new Hyundai Santro will be a more premium product as compared to the older generation Hyundai Santro which was on sale for 16 years but discontinued in 2015. 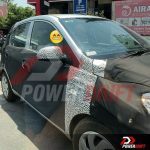 Thanks to the new spy shots, it can be seen that the Hyundai AH2 (Hyundai Santro) will boast of a cascading signature front grille, distinctive headlamps and curved lines. It will also sport larger windows and interiors will be packed with features and offer better on board comforts. While base variants will get steel wheels, the top end variants receive alloy wheels along with features such as climate control, touchscreen infotainment system and a digital MID. It will also be seen in a two tone interior color scheme. On the inside, expect premium treatment. As of now, the Tata Tiago is the most feature rich car in the segment. Expect the new Hyundai Santro to up the game as far as technology and features are concerned. An infotainment system with surround system will be on offer. Navigation, reverse parking, etc too will be on offer. Engine specifications will include the same 1.1 liter iRDE2, 4 cylinder petrol engine seen on the Hyundai i10, but tweaked for better power and performance. Hyundai has also confirmed that an AMT transmission is in the making. Once launched, Hyundai Santro is slated to fall within a price range of INR 3-5 lakhs. 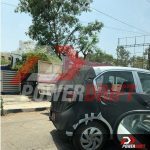 This will allow the hatchback to compete with the Renault Kwid, Tata Tiago, Maruti Alto.